The status quo in the pursuit of higher education qualifications has changed rapidly in recent times, both locally and internationally. Both the supply and demand for higher education degrees and other qualifications have shown astronomical increases. This phenomenon has been termed, the massification of higher education. This process has been facilitated by developments in ICT, and fueled by increased competition in the job market, regional integration and indeed personal ambition. Traditionally, universities were predominantly filled by recent college graduates and young adults. These students were in search of the skills and knowledge-base that would enable them to acquire and subsequently perform at a high level in any job acquired on completion of their qualification. They were generally unemployed, economically dependent and had the time on hand to pursue full time studies. Many parents as well, were hopeful that the university-years would help to mold and shape their children into progressive, resilient and productive individuals. Fast forward to today’s scene, where higher education is no longer typified by the young and inexperienced. With the onset of several virtual campuses, there has been a discernable rise in the ‘earning and learning’ cadre of students, locally as well as internationally. This group of mature, employed and often family-oriented students take advantage of the conveniences offered by online institutions in that they can learn at their own pace and in their own space. Additionally, many of these schools have payment plans which make it affordable and cost effective. So why not? Right? Well yes, but no. It is of critical importance that the student ascertains that the course and/or school to which he/she signs up is accredited by a legitimate, recognised Accreditation Agency within their country of operation in the first instance. Accreditation speaks to an assurance of a high quality/standard of educational provision. It is a rigorous review of an institution that scrutinises various aspects of institutional operation including but not limited to; Governance and Administration, Mission and Vision, Resource Management, Student Support services and Quality Management systems. Not only does an accredited institution spark reassurance that the education received is current and thorough, but it also has major implications on the students’ future, both academic and economic, since many employers and institutions will only accept qualifications from an accredited school or college. Unfortunately, ‘all that glitters is not gold’, and many of the institutions who ply their wares online and via other forms of media, are not accredited. They are legal businesses, but nothing more than that. In the United States alone there is in excess of 2,600 campuses that provide some form of distance/online education, there is a similar multitude in the UK, and droves of others in countries across the world. Some of these institutions use words and phrases such as ‘verified’, ‘Internationally acclaimed’, ‘widely accepted’ with the intent of duping unsuspecting individuals into the belief that their institution/programmes is/are accredited. These terms are NOT equivalent to ‘accreditation’. 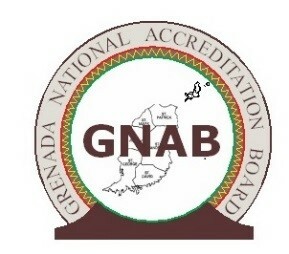 The Grenada National Accreditation Board (GNAB) is Grenada’s Accreditation/Quality Assurance Agency in higher education. It has the legal mandate to accredit, recognise and regulate the quality of local post-secondary and tertiary institutions in Grenada. This includes any foreign institution that provides education to Grenadians. GNAB also provides a service of researching and reporting on the status of universities world over. There is a small fee attached to this research, however, it is a small price to pay when one considers the alternative. Employers are also advised to direct potential recruits to the GNAB secretariat so that their qualifications can be verified as authentic, and from a legitimate, accredited institution. We live in an era of degree mills and bogus qualifications, and employers must guard against the infiltration of same into their establishments. Prospective students can visit the office of the GNAB Secretariat, located on the ground floor of the Kirani James Athletics Stadium and request a report on the qualification that they intend to pursue and on their desired university. Graduates from foreign institutions can also visit to have their credentials evaluated at a small cost. It is better to be safe than sorry. Cheaper is NOT always better, nor is price any guarantee of quality; good or bad! As you consider the pursuit of higher education qualifications, it is prudent that you take every possible measure, to guard against falling into the trap where your degree is ‘not worth the paper it is printed on’. For more information check us out at www.accreditation.gd. Call our office at 232 1970; 534 5891 or pay us a visit at the bottom of the Kirani James Athletic National Stadium, Queen’s Park, St George.